When allowed to run amuck, a cattail population can rapidly take over your pond. Cattails are aquatic plants which are commonly found near lakes, streams and rivers and they can reach lengths of 10 feet while forming colonies. As the plant matures its cylindrical brown flower will grow, and then it will open and release its cottony seeds which will spread and lead to new plant growth around your pond. While it has its place, below are some ways to keep it under control. Cattails, in moderate amounts, can be valuable to ponds. There are many types of birds, amphibians and fish that are attracted to them, and if you’re like most pond owners you’re excited about the idea of certain animals making a home in the pond you’ve spend time and money building. However, like many species of plants cattails can grow excessively at which point they will become a nuisance. When too many are present they will make your pond look like a marshland. There are three steps in keeping your cattail population under control. The first is to use an herbicide which can weaken them, which will typically come in the form of a spray. The second is to slash the spikes and leaves and then get rid of them. Finally you will have to continue repeating the process until the cattails have been brought under control. After you’ve applied an herbicide to the plant, it will turn soft and brownish. This is when you will want to slash and eliminate the stalks. This is essential because it helps avoid the accumulation of muck, which makes it easier to manage other cattails that grow in the place of the stalks that have died. You can use a weed cutter on the plant’s base, which then makes it easier to remove with a rake. The best herbicide for controlling your cattail population is one that is EPA approved and which is classified as a surfactant. It is highly recommended to use herbicides that come with a pond sprayer that is pressurized, and check the label to determine the dosage rates, ensuring that they’re ideal for your pond’s size. For instance, if you want to treat a group of weeds which encompasses 2,500 square feet, then you should mix approximately 8 ounces with two gallons of water and then combine it in the sprayer and apply to the cattails which are actively growing and are at least 18 inches above the surface of the pond. Cattail roots are highly resilient and may not be completely eradicated with one treatment. Therefore, the process recommended above may need to be repeated multiple times in order to see the desired results. 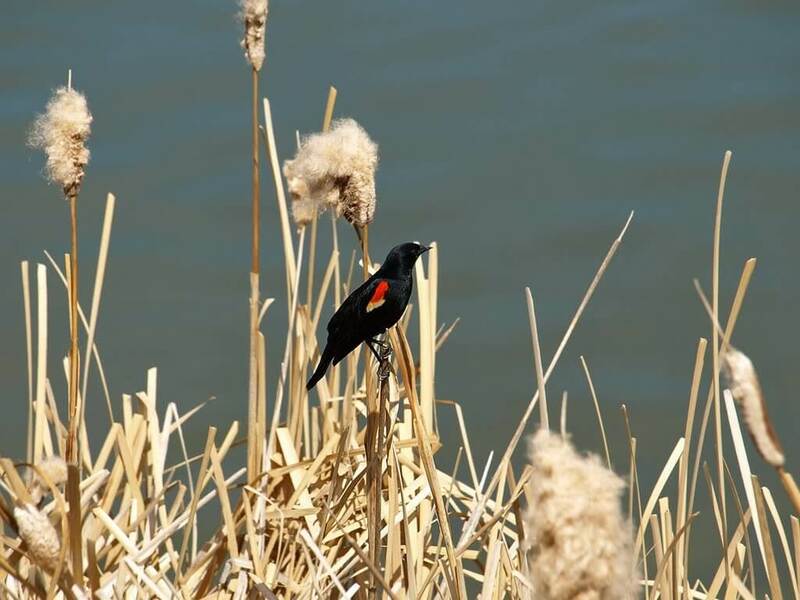 However, once you manage to control the cattail population, they will make a prime addition to the pond and will encourage various forms of wildlife to make the area their home.